That means honey cakes showing up in the stores and the call of the shofar -- the ram's horn -- piercing the morning skies in many Jerusalem neighborhoods. Volunteers from around the world have come to participate in the Shemitta preparations, including a group from HaYovel, founded by Christian country singer Zac Waller -- also the author of the moving song, "Israel, You're Not Alone." For those getting ready for the holiday, or who want an early taste of it, here's my favorite round honey challah recipe. (Guess what I'll be busy baking this week?) Round honey challah is a traditional bread served on Rosh Hashanah. For a step-by-step guide to guide you through the intricacies of a traditional Rosh Hashana evening meal, check out the one on the Chabad website. If you're strolling around Jerusalem and can't wait until the holiday for a taste of apple and spice, stop by the Muffin Boutique on Ben Yehuda Street and have a taste of their apple pie streusel muffin. You won't be sorry! More details about the muffin man's new shop. Last minute holiday gift shopping still to do? Browse our store for some inspiration! Since most people are busy getting ready for the holidays, things are kind of quiet on the festival and cultural events front. But you may want to swing by Ein Karem if you have time on Thursday evening to enjoy this picturesque neighborhood's art fair, complete with street performances and concerts. Thursday, September 18, between 18:00 and 23:00. This is a free service that we consider a privilege to provide. Jewish tradition, however, teaches that prayer and charity, together, have the power to change Divine decrees. So please consider super-charging your prayer with a gift to our charity fund for disabled children in Jerusalem. Your contribution, however small, will help provide much needed services, therapy and medications for severely disabled children in Jerusalem. And we'd like to thank all of you who participated in our reader survey this summer. We appreciate each and every response that we got and we're busy analyzing the data you provided us with in order to create an ever better website that will provide you with even more of what you want. Thank you! Those of you who didn't pick up your gift copy of our Traveler's Prayer can still do that right here. Enjoy the last week of the year! The window of opportunity is about to close. 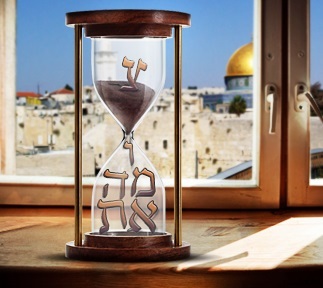 Seize this last chance to truly understand the Bible’s wisdom - Sign up to learn Biblical Hebrew online. Experience one of life’s most amazing journeys as you gain the tools for true understanding of the Bible. Our expert and dedicated teachers will lead you by the hand as you discover the beauty, significance and true essence of the Bible. Through live video courses given by the finest professors in the field. Together with thousands of students like yourself in a powerful experience. With just days left until the next course begins, register now and choose the path to a richer, more fulfilling life.